Reagan West has a perfect life. She’s at the top of the high school food chain as co-captain of the cheerleading squad and she’s best friends with the most evil girl in Albany, Tawny Perez, which means she’s never on the receiving end of her wrath. The only trouble in Reagan’s perfect life comes from the constant threat of her dirty little secret leaking to her fellow classmates and casting her into a lifetime of ridicule. Reagan West is a closet gamer and hates her role as the evil cheerleader. 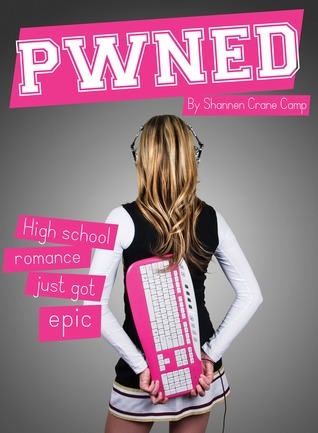 But, as any well versed teenager knows, it’s better to suppress your own nerdy tendencies than to submit to a lifetime of being shoved into lockers and so, Reagan bravely soldiers through life as a reluctant bully… until a boy from her guild moves to her school and becomes Tawny’s next target. The newcomer threatens to reveal Reagan’s nerdy little secret and force her to come to terms with who she truly is. Now Reagan has to decide if she’s going to defend her fellow geeks, or if she’ll continue to be a total troll. As an avid player of role-playing games (both table top and computer based), I totally understand the closet nerd mentality. Reagan West is the perfect example of the popular gamer girl - one persona in life, another in game. It can take a lot to merge them together and be who you truly are - it took an in game friend showing up as a new student at school for Reagan to find herself. Her adventure in discovery and finding who she really wants to be was at times amusing and others thought provoking. She will have to make the choice between her horribly awful "best friend" and fellow cheerleader, and the sweet and thoughtful boy that she talks to online every chance she can.